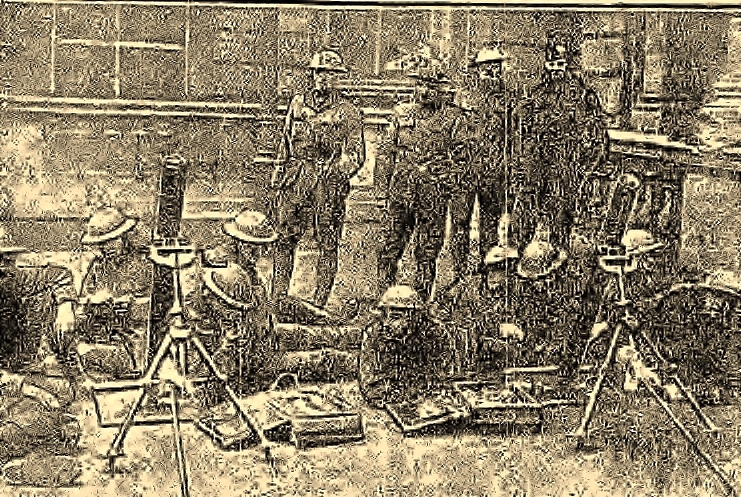 For the young men of Belfast that did not join the Army, they may have been spared to horrors of life in the trenches. However, they did not escape gruelling hardship at home as they were forced to work 60-hour weeks in the shipyards and factories of the city. Low pay, and poor working conditions exacerbated the angst of the workers and small-scale wild cat strikes were becoming commonplace towards the end of the war. This meeting has been arranged by a number of the rank and file trade unionists who realising that some time must elapse before the various trades organisations could be put into motion, had determined that a beginning should be made. The committee responsible for the demonstration were not trying to usurp the position of the trade union officials, but they believed that the great meeting would help to create a public opinion which would assist the movement for an eight-hour day. Our proposal is that work should commence at 8.30am, cease at 5.30pm, with one hour for dinner, for five working days, and at 8.30am till 12.30pm on Saturdays, making it in all a 44-hour week. Throughout December and into the New Year there was much discussions with the various employers who refused to yield to a 44-hour week, instead demanding a 47-hour week. This lead to the decision of workers to ballot for strike action. The ballot took place on 14th January. 97% of workers voted to strike if their terms were not met. The deadline was set for noon on 25th January. As the deadline approached, there was much anxiety in Belfast over whether or not the strike would proceed. As most premises closed at noon on a Saturday anyways, it was not going to be immediately clear what the impact of a strike would be. However, as thousands of unofficial flyers were distributed to workers all over the city announcing that the strike should commence, it became clear that some form of labour strife was about to commence. By Monday morning, sympathy strikes in many other industries began. Even gravediggers working for Belfast City Council downed their shovels in protest. Hospitals stockpiled on candles as it was realised by workers that their concession to light hospitals would not be possible, as they could not separate lighting hospitals with lighting the streets. By Tuesday, strikes were spreading across the Kingdom with large scale disruption beginning in Glasgow and London. In Manchester, 4,000 men halted work because a single docker refused to join a trade union. By Wednesday night, looting and rioting were breaking out in the darkness of Belfast. All Belfast newspapers were out of print on that day, bar the Northern Whig, which managed a single sheet. Labour unrest began to spread across Ireland by the end of the week with issues reported in Derry, Lurgan, Donegal, Limerick, Dublin, Dundalk, Monaghan, and Maryborough. Meanwhile, by week’s end in Glasgow, hundreds of people were injured in widescale rioting that forced troops to be deployed to the city to quell tensions. The main clashes took place around the George Square area of the city and the unrest became known as Bloody Friday. By the weekend, there was little prospect of the strike concluding in Belfast. The sudden death of George Cuming, Deputy Director of Harland and Wolff was seen as a blow to the strikers as he was viewed as a moderate, sympathetic to the workers’ demands for a shorter working week. Cuming had oversaw the construction of two of the three White Star Line’s giant passenger ships; RMS Olympic and RMS Britannic. Yesterday, at Croke Park, the final of last year’s All-Ireland Hurling Championship was decided as above. There were between 9,000 and 10,000 spectators when the teams took the field. As to the game, it was disappointing, and proved the most uninteresting witnessed for many years. The Limerick team, which played as originally selected, gave a good all-round exhibition, and were superior in every phase of the contest. Wexford failed to fulfil the expectations of their followers. After the contest, Alderman Nowlan, President of the Association, presented to Mr. W. Hough, the Limerick captain, the cup presented by the Great Southern and Western Railway. It may be stated that this is Limerick’s second triumph in a hurling final, their previous win taking place as far back as 1897. The winning team are due to play the Dublin selection on Feb. 9 th for the final of the National Aid Tournament. Fogarty got away for Wexford on the throw-in, when the Limerick half missed, but Hough held them up and Limerick got going until P. Lambert cleared to the side line. Fogarty being fouled, Wexford were awarded a free. Leary’s puck made little ground and Limerick came along for Barry to open the scoring for Munster by shooting over the bar. Limerick returned the goal puck, and McGonkey, getting possession, shot Limerick’s second point. Wexford got the better of some exchanges at the centre, but the Limerick defence proved sound. Leary first, and afterwards Fortune, beating them off. Cummins was responsible for Wexford getting down, when Hough repulsed, and Troy made Limerick’s third point. Lambert and Murphy were conspicuous for Wexford, who could make little impression. Leary got hurt, and play was stopped for a short while. Resuming, Ryan got away, but Fogarty stopped him, and drive to Kavanagh, who scored a point for Wexford, after 10 mins. gone. Leary got in a good drive for Wexford: Hough repulsed cleverly and Barry and Ryan having made ground, Stafford conceded a “70.” which Gleeson drove wide. Play was near the centre when J. Fortune missed a free, but Kavanagh sent it on, and Gleeson returned. Limerick, per McConkey, looked well for a score when Stafford in goal made a fine save. The Munster men returned, and W. Ryan beat Stafford for a goal. For a time Wexford defended well but Limerick were not to be denied, and the ball was rushed into the net. McConkey soon afterwards shot a good goal. Before Wexford could recover, D. Ryan scored another goal. W. Gleeson repeating the performance in the same minute. The back division of Wexford were just now very busy. Leary, Murphy and Stafford getting through a lot of work. Cummins at last got through for Wexford, but Hough and Ryan headed a counter-rush, when a foul gave relief to Wexford. Lanigan held them up, and Barry sending to McGrath, the latter scored a grand point. Another free to Wexford gave further relief. Fortune and Neville working down and Cummins shot over the bar. Fogarty sending wide immediately afterwards. P. McInerney stopped Wexford, and Gleeson sent in a fast shot, which Fortune stopped. Gleeson sent in a fast shot, which Fortune stopped, but the ball went over for a “70.” which was not improved upon. There was no further score before the interval, when Limerick led by 5-4 to 0-2. Murphy came away for Wexford on resuming and Fagan getting possession a score looked certain until Murphy, the Limerick custodian, cleared. Lanigan and Ryan headed a Limerick rush, when McConkey placed for McGrath to shoot in the net. The play just now was confined to the Wexford end, Limerick attacking with much vigour. A lengthy goal puck by Stafford was returned by Ryan, when Stafford made a great save, but Gleeson got possession and shot a great goal, after the ball had struck the cross-bar. Kavanagh headed a fine rush for Wexford, but McInerney held them up. M. Murphy and Fogarty made ground for Wexford. A foul unfortunately spoiled but Gleeson’s free was stopped by Leary, and play was momentarily in Limerick ground. A free to Wexford and Leary sent down a grand shot which McInerney cleared. Roche and Neville got going for Wexford, who were again beaten off, and, Limerick gaining a “70.” Barry got on and sent the ball into the net. In the next minute Wexford worked to the other end, where Kavanagh shot wide, Ryan doing the same for Limerick a minute later. After M. Leary had saved for Wexford they got along the right wing and gained a “70.” free. Leary, with a splendid effort, sending the sphere into the net, and with ten minutes to go, spectators began to leave the ground. A last bout by Wexford wound up in Murphy scoring a point. After this the Munster representatives again assumed the upper hand, McConkey scoring a goal, while a little later McGrath added on a point, the final whistle leaving Limerick easy winners. Mr. W. Walsh, as referee, performed the duties satisfactory. THE TEAMS. Limerick – W. Hough (capt). P. McInerney, D. Lannigan, R. McConkey, W. Gleeson, J. Keane, M. Rochford, D. Troy, T. McGrath, M. Murphy (goal), P. Barry, W. Ryan, J. Humphries, P. Kennedy, R. Ryan. Wexford – M. Cummins (capt). M. Stafford (goal), C. Hyland, D. Kavanagh, P. Roche, J. Leary, J. Fortune, R. Walsh, M. Leary, J. Sinnott, J. Fogarty, M. Neville, M. Murphy, P. Fagan, R. Lambert. Limerick on the attack during their victory over Wexford in the 1918 All Ireland Hurling Final. Irish Independent 27 January 1919. The Directors of the Maryboro Gas Company Ltd., hereby inform their customers that owing to their men having gone on strike, following a demand for an extravagant increase in wages, a reduction in the number of working hours, and an insistence upon other impossible conditions, the Company has been reluctantly compelled to temporarily close down. The Directors deeply regret the serious inconvenience thereby occasioned to their customers, including the various public institutions within the township, and that owing to the inconsiderate actions of their employees - taken even before a meeting of the company's directors could be called to consider the matter - such a state of things should have come to pass. On account of the increase in the price of coal and in the men's wages, the Company carried on business last year at a loss, and consequently were unable to declare any dividend to their shareholders, but it will be readily recognised that the Directors cannot see the way to indefinitely continue such an unsatisfactory state of things. They will endeavour to resume business as usual at the earliest possible opportunity, of which due notice will be given. The Secretary of the Maryborough Gas Company has issued a circular during the week stating that owing to a “demand for an extravagant increase in wages, a reduction in the number of working hours, and an insistence upon other impossible conditions, the Company has been reluctantly compelled to temporarily close down”. Our demands are for an all-round increase of 12s. per week, and an 8-hour day. Was this an extravagant increase given our wages would reach the magnificent sum of 48s. (or £1 pre-war value) for working on an average 78-hour week. We gave the Gas Company seven weeks’ notice, also notice was sent to our Union, and on Monday, January 20th, our Organiser gave six clear days’ notice to the Gas Manager before we enforced our demands so that there was sufficient time to hold a Directors’ meeting if the Company desired. But all our notices were completely ignored. We regret.as deeply as the Directors the inconvenience to the General Public, and whilst we cannot contradict (as no balance sheet or statement of accounts has been published) the Company carried on business last year at a loss. We doubt the statement, knowing well the output from the works of gas and its by-products. Wo place these facts before the public to give the correct version of our case, and to contradict the statement of the Company that has compelled us to take serios action. The Employees of the Gas Works. This statement was then counteracted by another lengthy statement from the Mr. McClure of the Gas Company. He refuted several of the claims made by his employees. He insisted that during the War year, every demand for an increase in wages was met, and that they were being paid 86 s. a week by the end of the War. He also refuted their claim that they worked a 78 hour week, instead suggesting that 62 to 66 hour weeks were more normal. The workers most recent requests were not discussed by the Directors of the Company due to the death of Mr. Odlum’s, the Chairman, wife. It was suggested that any action that may be taken be postponed until the Directors had an opportunity to discuss matters. However, according to McClure, following initial agreement, on the morning of the 24th January, they decided to go on strike anyways. On the arrival of Mr J Snow in Baltinglass after undergoing a term of over two months' imprisonment in Mountjoy, he was met at the Railway Station by a large crowd, accompanied by the local Pipers' Band. Mr Snow was the recipient of a very cordial welcome when he stepped on to the platform, and was greeted with loud cheers. A procession which was formed outside the railway station marched through Barrack St until it arrived opposite Tan Lane, when it was brought to halt by a body of police, in the charge of Sergeant Kerins, rushing towards the crowd with fixed bayonets. Somebody in the procession gave the order "Right about turn" and Sergeant Kerins, addressing Mr Edward O'Neill, D.C, asked him if he had any influence with the people to get them off the street, and Mr. O'Neill replied that if any trouble occurred he (the sergeant) would be the cause of it as he was acting in a most provocative manner. The procession again reformed and proceeded towards the Main Street, after which the people quietly dispersed. Except for the cheering and singing indulged in by those present there was nothing disorderly in the proceedings. On the following Sunday evening a party was organised by the local Cumman na mBan to mark their appreciation of Mr Snow's services in promoting the interests of Sinn Fein In West Wicklow. There was a largo attendance present and an enjoyable musical programme was gone through. A court-martial was held on Thursday week of John Robins, Erry Armstrong, Clara, Kings Co. He was charged with having in his possession copies of a document (two numbers of the official organ of the Irish Volunteer) containing passages likely to cause disaffection to his Majesty. President [Judge leading court-martial]—Are you guilty or not guilty of the first charge against you? Accused—As I am not recognising the court I wish to state, if that is a plea of not guilty, that I am guilty, as the evidence will speak for itself. President—Do you wish to plead not guilty? Accused—As I am not recognising the court, if you take the plea of not guilty, I am guilty. President—I must take that as a plea of not guilty. Accused—When the court was not recognised yesterday, you took it as a plea of not guilty. If you take it that way today I am guilty, as the evidence will prove. The court proceeded to hear the case. Constable Geraghty, Clara, stated that on 27th November last he, with a search party, searched accused's house near Clara. The accused and his mother and sister lived there, but accused was not present. Witness found several seditious leaflets in a coat belonging to the accused, including copies of the official organ of the Irish Volunteer. President—Did you know his room? - No. Were you told It was his room? - No. You simply searched the house? - Yes. Where was the coat hanging? - On a peg on the wall. I knew the coat before. Did any other man live in the house? - No. Accused asked If he had any questions to ask the witness, replied—"I decline to cross-examine him." Constable Mahony, Tullamore, stated the accused was arrested on 20th November in Michael White’s house at Clara. Asked if he wished to call any witness in his defence, accused said—As I am not recognising the court, I will not make any defence, but I claim to be treated as a political prisoner or prisoner of war if convicted. On Wednesday, Mr. James Lennon, Courtnellan House, Borris, was allowed out of Belfast Prison on parole for 7 days owing to the serious illness of his mother. He arrived in Bagnalstown by motor car on Wednesday from Maryborough, having missed the Waterford train at Kingsbridge. It was one o’clock in the morning when he arrived at Bagnalstown, and a huge crowd, accompanied by the Bagnalstown Band, turned out to welcome him. He was accorded a very hearty welcome at Borris where he was met by hundreds of people, headed by the Borris and Clashganny Fife and Drum Bands. Mr Lennon, in spite of what he has experienced in Belfast Prison, and the strenuous time h, with the other political prisoners, have gone through, is looking fit and in good spirits. On Monday about 30 employees at Messrs Pattison’s Saw Mill, Cloughjordan, left owing to two of their number being, as alleged, dismissed for refusing to take orders from a non-union man. The employees are members of the Transport Workers' Union. Work in the factory has ceased and the town is without its electric light supply. It is stated that the men, in respect of whom the strike started, have since joined the Union. The works, which are guarded by the police, are being picquetted. 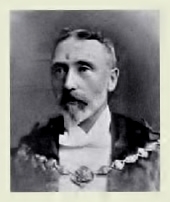 William John O’Brien, originally from Roscrea, was elected to the Union Parliament in South Africa representing the city of Pietermaritzburg in the Natal Province. O’Brien left Roscrea at the age of 18. His brother, John, would go on to run a Drapery on Main Street in the town for many years. Upon his arrival in South Africa he joined the Natal Light Horse Battallion and fought in the Anglo-Zulu wars. After his military career, he entered business in Maritzburg. He became involved in financing gold mines and became a close friend of the founder of the Anglo-American Mine and De Beers, Sir Ernest Oppenheimer, and sat on the board of the former, and several other gold mining companies. He entered politics at the age of 37 when he stood successfully for the Maritzburg City Council in 1897, becoming Mayor in 1903. Following his election in 1919 to the Union Parliament, he remained in public life for another 30 years until 1948 when he retired as a Senator in the South African Senate. Through his wide interests ranging from sociology to natural history, he became a friend of another parliamentary amateur botanist, General Jan Smuts, one of the most influential figures in 20th Century African history. A member of the Natal Society from 1879 until his death in 1959, he served as president of the Society from 1903 to 1905. He also played an instrumental role in the establishment of the University of KwaZulu-Natal, serving as president of the Council of its fore-runner, the Natal University College, from its inception in 1914 until 1953 when it became the University of Natal. He was instrumental in obtaining a grant of 53 acres of land on which the Pietermaritzburg Campus of the University stands today.